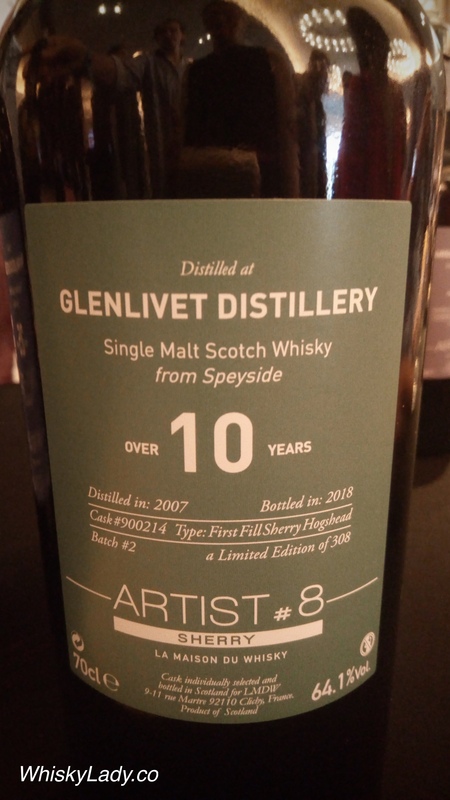 We sampled it at Whisky Live Singapore 2018’s VIP Room – just a wee nip but it was worth it. While its nose was a bit shy, there was nothing shy on the palate. We were rewarded with a lovely rich quality. Robust and full flavoured, it did not disappoint. And what do the folks at La Maison du Whisky have to say? 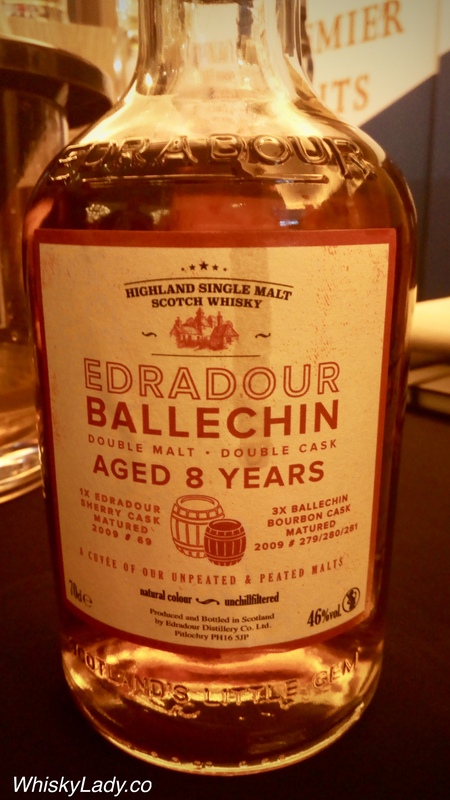 Well… their website currently features a slightly different bottle… However it too sounds like a mighty fine dram. But is it worth the price? Just to put in perspective, a bottle of this Glenlivet would put you back SGD 380. 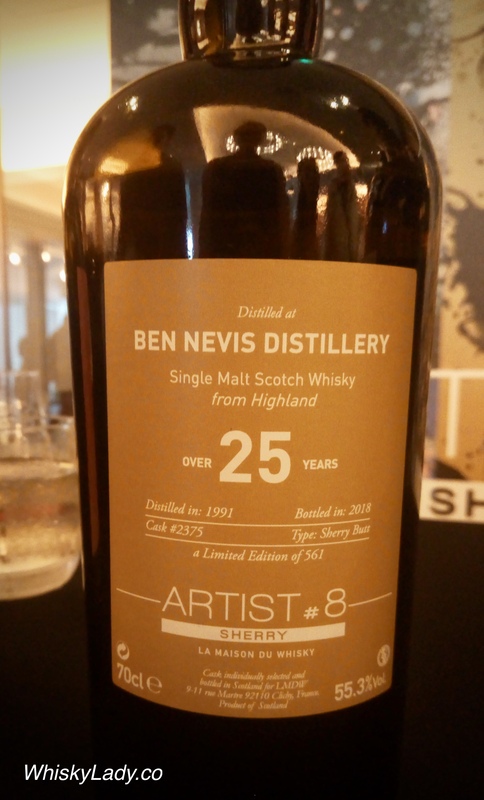 Our next Sherry from La Maison du Whisky’s Artist Series 8 washroom the Ben Nevis distillery. 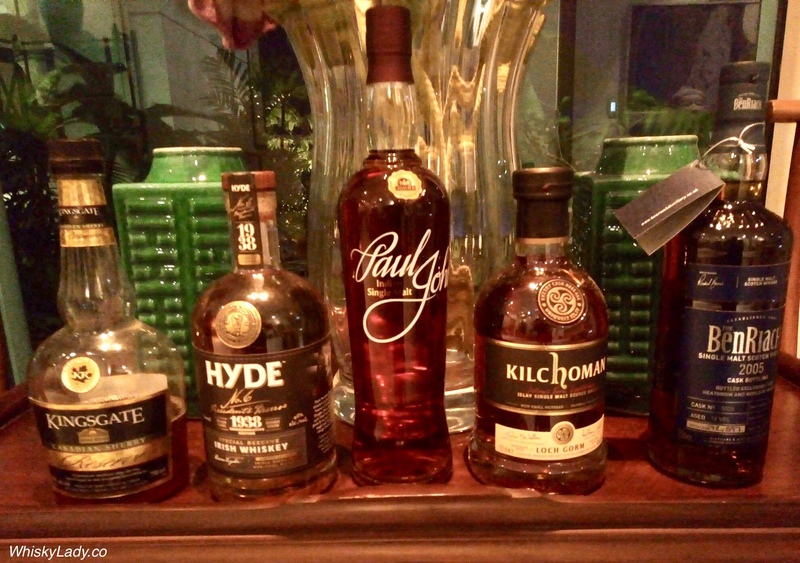 We sampled it at Whisky Live Singapore 2018‘s VIP room. 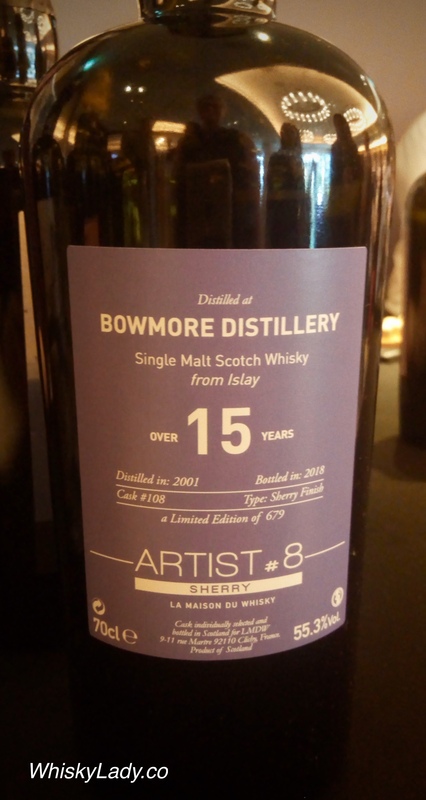 As this whisky isn’t everyone’s style, some of my tasting companions skipped this one… whereas I soldiered on and dove in for a sniff, swish, (and yes) spit! Ben Nevis isn’t for everyone… and this was very much in keeping with a Ben Nevis “style” with a bit of sour, salt and in this case – sherry. 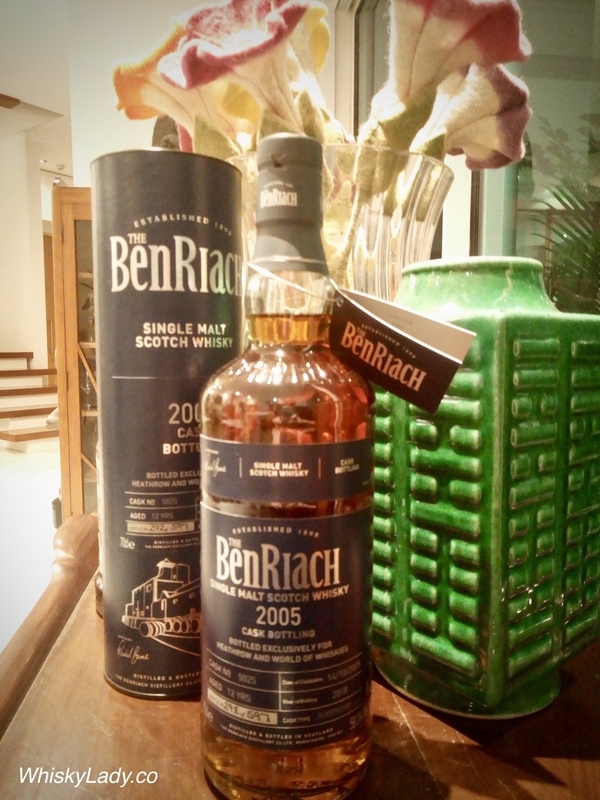 Nose – Very exotic in its oxidative register (pineapple, mango), the first nose perfectly synthesizes the Ben Nevis style. 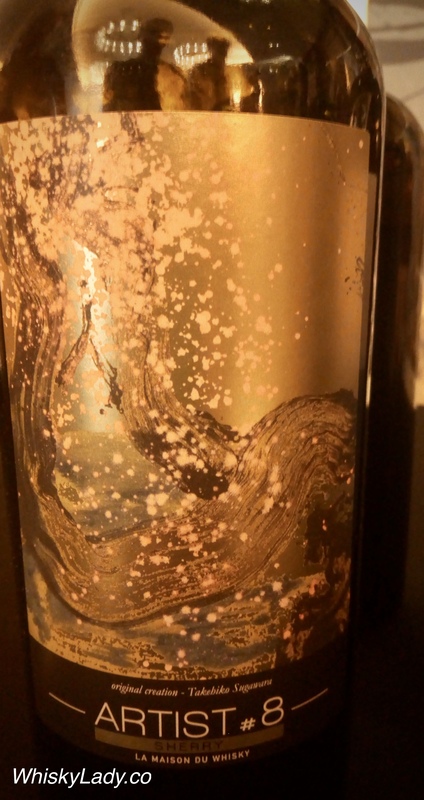 At aeration, the influence of sherry clearly evokes a sherry fino type. Notes of almonds, walnuts and curry are reminiscent of Jura yellow wine. 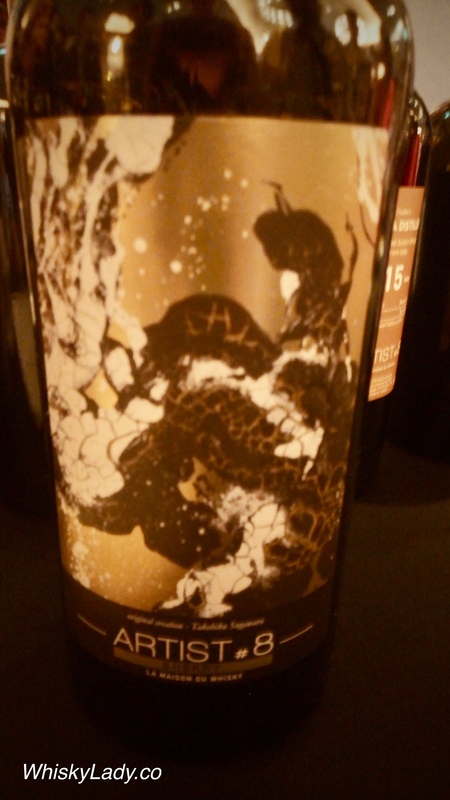 Very deep, it evolves on citrus (lemon, grapefruit), praline and verbena. At the precise moment, the aromatic palette is still far from having delivered all its secrets. Palate – Lively, removed. Vanilla, the attack in the mouth is also deliciously honey (acacia), vegetable (cucumber) and fruity (dried apricot, gooseberry). Both menthol and lemony, the mid-palate reveals a luxuriant nature, nuanced by a shades of green that goes from the softest to the darkest. The mouth is nobly spicy (saffron, ginger, cardamom). Finish – Long, sweet. 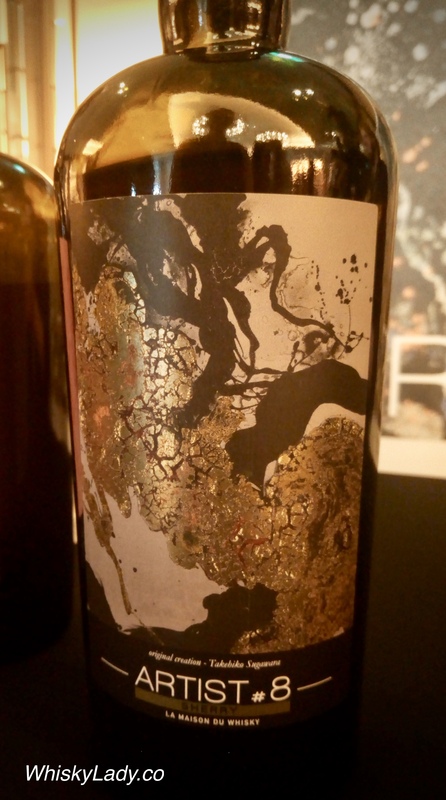 With the same power of seduction as the nose and mouth, it oscillates between almond milk, candied pineapple, cut hay and spices (ginger, clove). In retro-olfaction, Mirabelle plums and quince add to its fruitiness. Empty glass is medicinal (balm), spicy (cinnamon), roasted (coffee) and oily (walnut, almond). —From LMdW website with an imperfect google translation from French. Curious about other Ben Nevis tasting experiences? 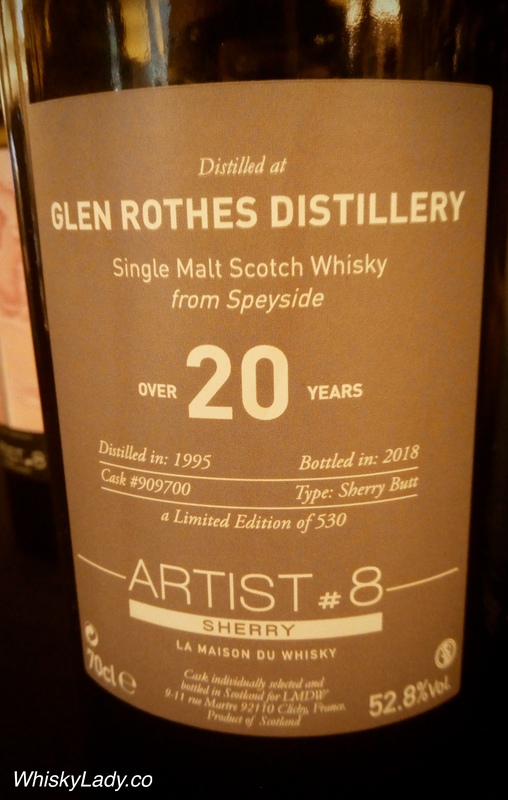 Our first sherry dram from the La Maison du Whisky’s Artist Series 8 was from The Glen Rothes distillery. 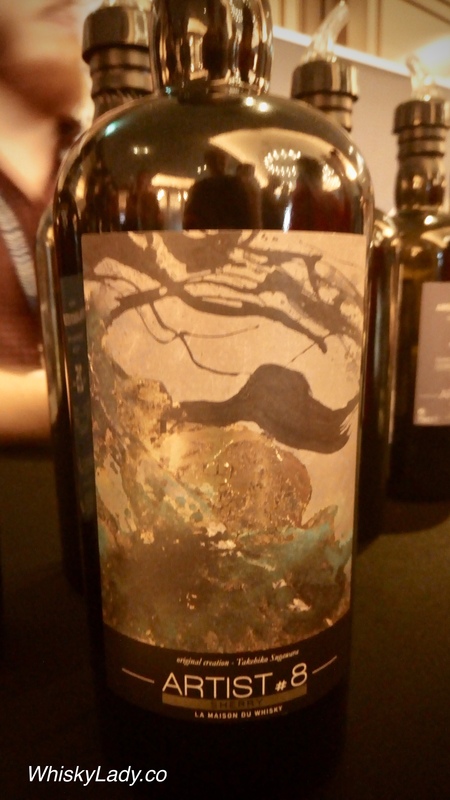 Even our wee nip at Whisky Live Singapore 2018 was enough to establish this as a solid sherry specimen in a beautiful bottle with art by Takehiko Sugawara. However with only 530 bottles in existence, available only through La Maison du Whisky, you may find it challenging to track down. Not to mention the pricy price tag at SGD 725. Nose – Fine, ample. At first, beautiful notes of bitter orange are coated with dark chocolate. This wonderfully classic starter is also composed of red and black fruits (blackberry, strawberry) and noble spices (cardamon, ginger, cinnamon). At aeration, it evolves on precious wood (beeswax), vanilla and leather. Dried fruits (dates, figs) then add complexity to the aromatic palette. Palate – Lively, racy. In attack of mouth, the orange releases their juice at the same time sweet and acidulated. Very tense, it reveals notes of salted butter caramel, exotic fruits (guava, persimmon) and creme brûlée. Unveiling gianduja, the mid-palate is also close to malted barley. In the back of the mouth, strawberries and blackberries make a particularly tasty and fleshy taste return. Final – Long, balanced. Change of scenery. Heady flowers (iris, purple lilac, peony) make their appearance and perfume the atmosphere of one who also shines by the delicacy of his touch. In retro-olfaction, chocolate and salted butter caramel accompany notes of toasted bread and aromatic plants (chervil, laurel). Original the empty glass lets admire a wood that is reduced to dust giving way to cocoa beans and very ripe bananas. 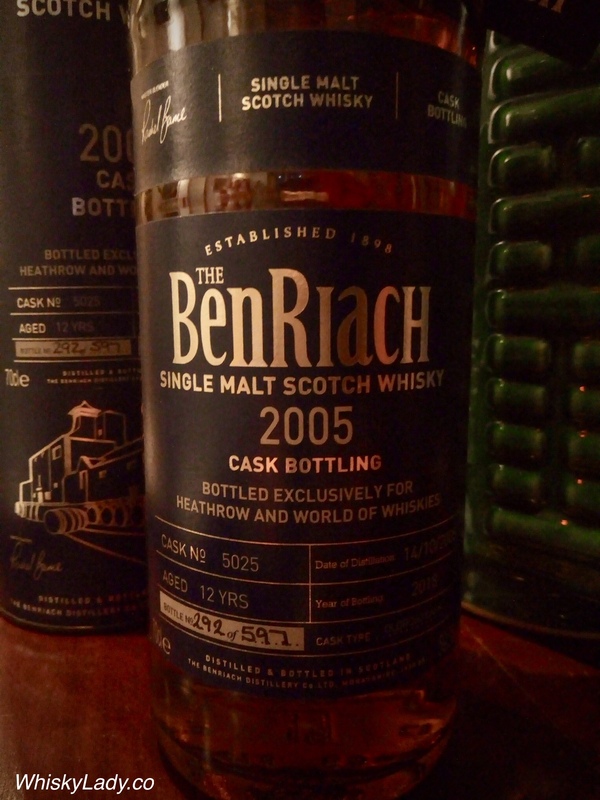 Want more Glen Rothes tasting notes? 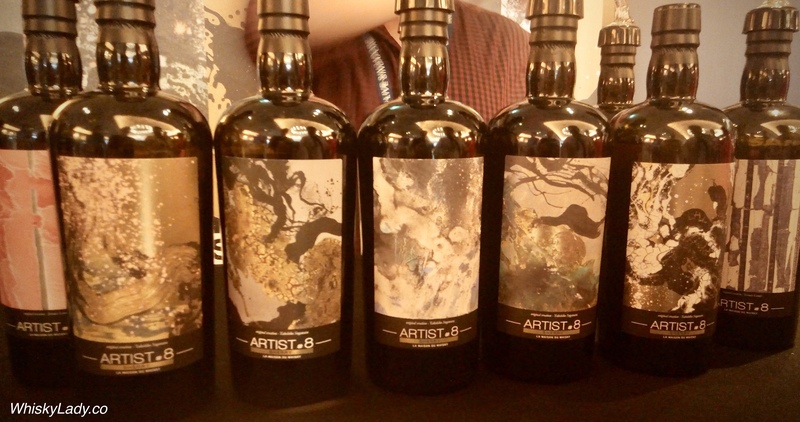 La Maison du Whisky’s Artist Series 8 has two distinctly different ranges… this one is all about the Sherry with the most gorgeous labels created by Japanese artist Takehiko Sugawara. While we followed the suggested order alternating between non-sherry and sherry, I thought to focus on the sherry range – and what a range! For those whose brains are wired to maths… you will note the years are all in intervals of 5 yet if you calculate, may actually be more. 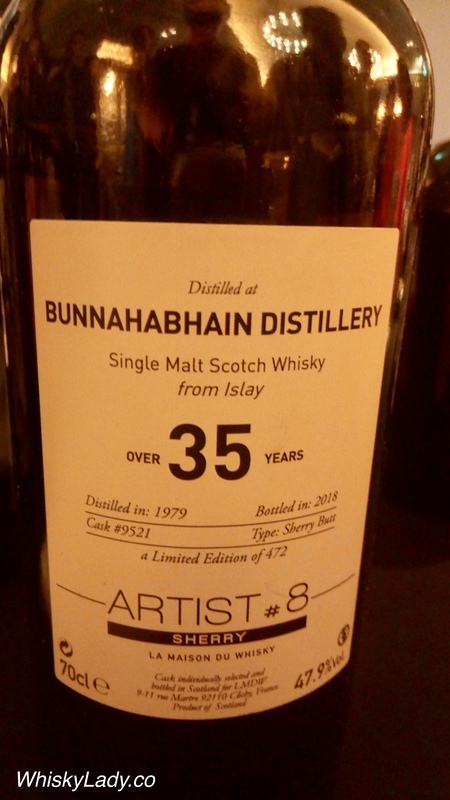 Take the Bunnahabhain 35 year which was laid in a cask in 1979 and bottled in 2018. What this means is it could actually be 38 or 39 years, depending on the month it went into the cask or bottle. We won’t quibble or question their logic, just enjoy what wonders the years quietly maturing in their respective sherry casks produced! 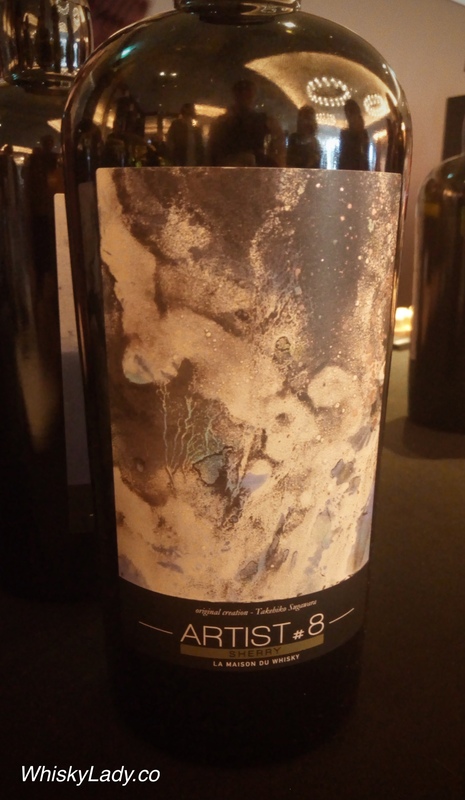 PS – Don’t miss the Artist Series #8 without Sherry either! Last in our Sherry expressions evening was 20 year old whisky from Macduff distillery matured in Sherry Oak. Though it clearly was low alcohol and hence for many it was a bit too watered down, like sipping sugar water, it was beautiful in its way. Some really appreciated its subtle and nuanced character, even if it was not massively complex. Again a surprise. None would have expected a 20 year old. Which triggered a reminder of our earlier encounter with this specific single malt – an evening back in October 2014 – remembered as the night a 3 year old Japanese whisky (Chichibu ‘The Floor Malted’ 3 year) outclassed a 20 year old! 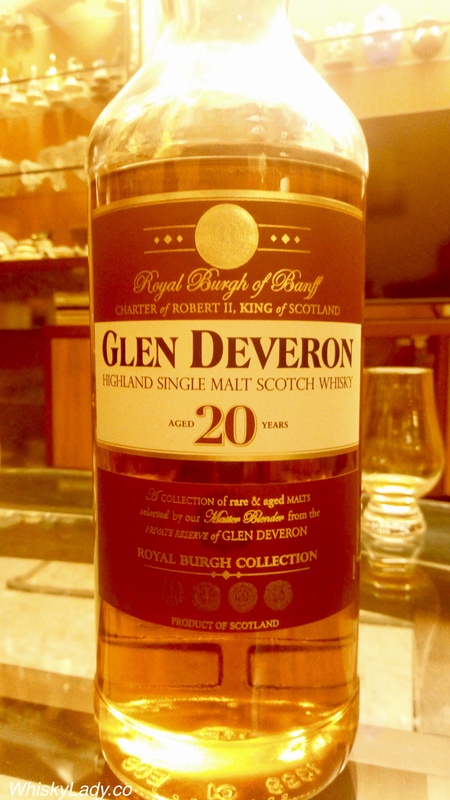 This time around, the Glen Deveron got a favourable response from a few who thought it quite pleasant and enjoyed the soft sponge cake flavours on the palate. Yet it brought us back to our discussion on the critical role played by the cask – both its quality and the number of times it was used and how. While it says Sherry Oak Casks, this doesn’t actually tell you much. Had it been 1st fill sherry casks, one normally sees this proudly declared. We thought it is much more likely to be a combination of oak (logically American given its affordability) and a 2nd or 3rd fill sherry cask. While pure speculation on our part, it struck us as the right combination to produce the results we found. 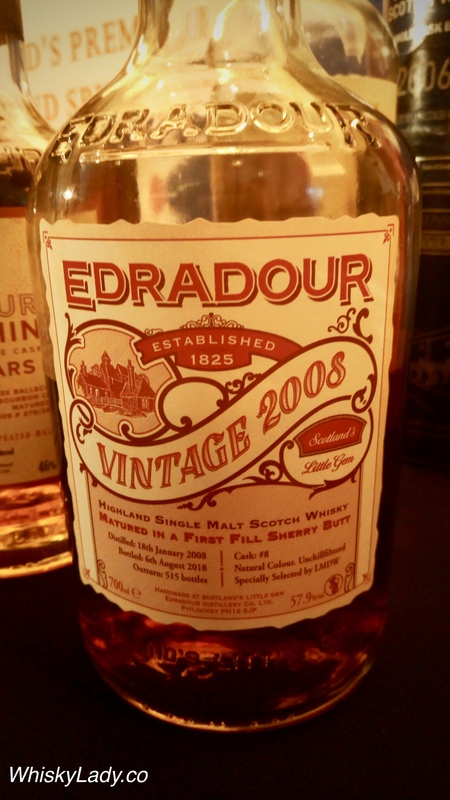 Such an approach could be called “Sherry Oak” – as yes there is some “Sherry” – just how much and what fill is indeterminate and equally there is “Oak” – whether it is is ex-bourbon 1st or 2nd or 3rd fill or simply straight American Oak or something else – it is still legitimately Oak. Not so long ago, this duty free dram could be found for $75. However more recently it made an appearance at Mumbai’s duty free for $125. That shared, you may not find this Macduff’s offering as easily today as you once could as the expression has been discontinued.